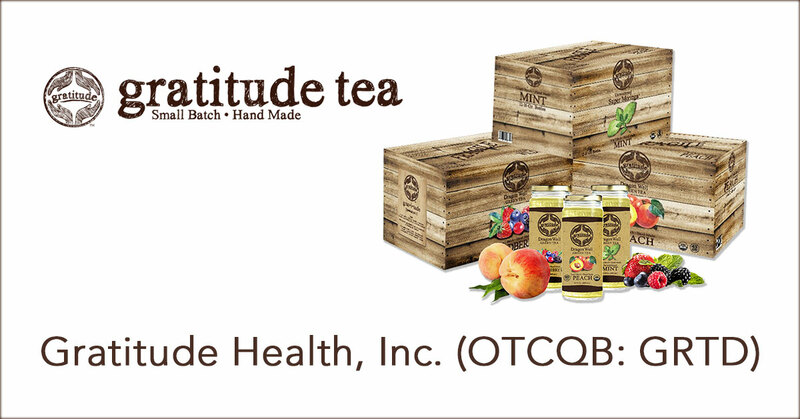 Roy Warren Jr. CEO and Andy Schamisso, president and COO of Gratitude Health, Inc. (OTCQB: GRTD), called in to SmallCapVoice.com to discuss their business model as a beverage manufacturer and marketer providing great-tasting, organic, functional drink offerings specifically intended to promote and support nutrition for healthy aging. GRTD, although just starting outv has landed distribution in over 150 retail outlets in New York City for their RTD Dragon Well Green Teas deliver a beverage-industry leading 417 mgs of polyphenols per bottle. They also discussed the East Coast roll-out of their new ‘Keto Friendly” meal-replacement shakes deliver perfectly balanced healthy fats and proteins intended to fully support the ketogenic diet and lifestyle, KetoRefuel. KetoRefuel is the ultimate meal replacement drink and is created to deliver healthy nutrition for all. Each “keto shake” delivers proper macro and micro nutrients in a scientifically developed balance of healthy fat, protein and carb ratios. KetoRefuel is USDA Organic, will come in 16.9 oz, shelf-stable Tetra Pak Prisma containers and will be sold across multiple beverage channels. This interview may include forward looking statements. These forward-looking statements generally are identified by the words “believe,” “project,” “estimate,” “become,” “plan,” “will,” and similar expressions. These forward-looking statements involve known and unknown risks as well as uncertainties, including those discussed in the following cautionary statements and elsewhere in this release. Although the Company believes that its expectations are based on reasonable assumptions, the actual results that the Company may achieve may differ materially from any forward-looking statements, which reflect the opinions of the management of the Company only as of the date hereof. SmallCapVoice.com, Inc. received $2,500 from the company on 3-27-19 for 30 days of service.